A Lion Being's message...of truth. Today I want to give you a few personal messages, three to be exact, which I received about sacred geometry from Sirius, which can be found and traced back in the Earth knowledge of the Crystals and Pyramids. This has nothing to do with the Illuminati junk vids on YouTube, or stuff about those who write in darkened head/mind energy about this stuff, as one reads much of this on the Internet, this page is purely about true sacred geometry from that system we know now as the Sirius system or Canis Major. So, I ask you to clear your heads, open your hearts and let all that junk stuff go, erase it, for it is simply not true. My memories of Sirius are of big crystals, also big crystal pyramidical shapes and buildings, pillars and octahedron's, diamond like shaped buildings. Also the Cube knowledge is part of our heritage, here for Earth. But this Cube knowledge will come next time, as it is opening up for Earthlings again too. Please enjoy the read from Ruba, who works on the Ashtar Command main ship, the Phoenix and has just like me, a deep feline form. This is my higher self too. After the Ruba files I will add something of my own knowledge towards which he speaks of. Even though the messages are from 2012, they are ever so present and important for all to know. it is time to share these personal messages so we can feel into which energies have been twisted and misused. What tone do you represent? Around the meridian, the spinning has highest velocity, around the “poles” it is less. The Center point, is a zero point, a no speed zone. This pictures shows it too. The yellow dot is a no space/time point, called zero point. This dot or point, is found in each of our hearts. 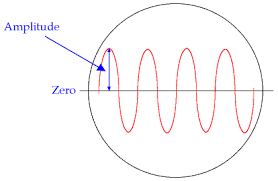 The longer the amplitude of the wavelength, from zero point, the faster the velocity IS, your frequency goes and IS upward. The Oscillation starts with intent of thought and words uttered, the tremble, the creation, which creates the force for the spin, the ripple, or oscillational force. The Heart has the creation oscillation point (zero point in its center) and starts to vibrate, or oscillate. Further, about magnetic force. The Heartical Torus is a center, the strongest force. That is why it is Home of your true Essence of Being. The Velocity defines the vibration, for the Channel you are ON. The Channel is connected to the spinning and oscillation. We advice to begin to channel all of yourselves to the one Channel of the Heart. Then differences of vibration and not seeing will disappear. Think of One thing you love the most, then feel that love and turn into your heart, tune Inward, dive into zero point. The difference between you all, is the spinning, which is your personal vibration. This varies, which gives you different feeling and seeing, but, a different program is SEEN then, so your channels, like your TV, varies a bit. The heart grid, the vibration of the fourth, that spin, is felt at a same wavelength and connects each and all. That is collective vibratorial love which Earth has to begin to BE in, in order to ascend to a higher place, this lesson is taught now, in this time-frame. It was given before, yet, through many souls, each to no avail. We speak to you how to BE it again. The house of the Pyramids! A form to help one vibrate higher, also called, diamond energy, by some on your planet. In fact it is two pyramids ajoined, two tetrahedrons. The picture above shows always the center IN the triangle, in the middle of the MerKaBa, IN the center of the Diamond, its center is always green, as green is always in the middle. It is no coincidence why all human energy chakras are of the colors we know them to be, The central Heart Chakra has the green color. Focus energy from both apexes into zero point, your hearts center. From that point see it swirling, outward and to all sides, like in the Sun Star practice. Shine (best is white or golden), this energy outward for a few meters (2 or 3m). The force is centered at three pivotal points. Center, Base and Apex. The magnetic center of half is centered at the higher heart. The magnetic center of the lower is centered at sacred heart. So, this means, a single Per-a-mitha, not a diamond. See vision of the spiral from center too. Phase-shifting means we shift from a wave you can see, to a wave you cannot see (with 3D eyes). We cloak….also, we shift in density then, which means a higher frequency and we shift in a template you are not IN. We speak today, on Mitha Ajun, an ancient way of Sirius, collided with the birth of Center. Much was altered in ancient days, in less ancient days and more so in recent years too. Your density has provided cause to effect, yet the cause to effect has twisted and blinded the effect to cause…creation. The Mitha Ajun is causing an effect to create, not to control. The 3D control has been topped to a different view and a viewing we do not concur with. We will speak of true Sirius knowledge now. To center the middle of each triangle we adhere, the cause to effect center here, each side of per-a-mitha focuses on center ajun, for its side center points at ajun. We will show. Work to feel the difference dear one. Arcturian brothers and sister ajoin the two centers of the Per-a-mitha, called by Sirians, Mitha Ajun, together, to form the MerKaBa. When merged a spinning commences and forms a vehicle of Light. The Mitha Ajun forms a center of healing. Speak of Love, you should use, healing, then you use Mitha Ajun. Chambers of healing commence at Mitha Ajun. We will show you now your wrong pyramid of control in this information…you will recognize it easily, as all of your systems of 3D are mostly flowed in this way. Leave this system. It is the eye of control and power dominance. 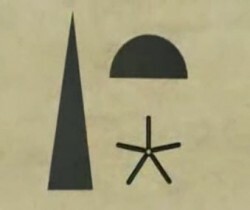 As you can clearly SEE, it is disconnected to the rest of a pyramid, separation is control, leading in dissection and fear, for other’s under that control. It is of the head focus too and those only using their Star Center eye’s, which is still the larger part of the Earth souls. (Note BN: Forget this symbol below and its control system, as it is an old Draconian construct, top down power control, still much in our governing and corporation systems of Earth (so we know now what has to change), for else we will not see/feel our Star family, guides, angels or Ascended Masters. So the picture below should be forgotten very fast and deleted from our energies! As you can see this triangle is detached from the rest of the Mitha, forming a disconnected system. All such systems on Earth are like this, government and corporations and should be deleted from Earth, as a form of control. 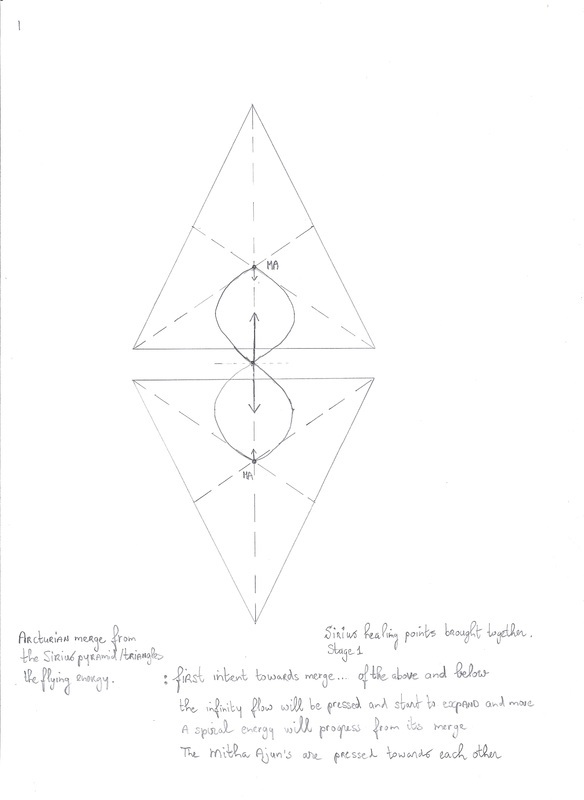 The real and working triangle energy connected to the zero point and circle energy (for each circle is connected to center of the lines of the triangle), should be re-installed on Earth, which work from the center, not the top!). The picture above is the destructive pyramid construct, Draconian way, the power control way. We ask you to Flow of Love, flow of Center, flow of and from your Mitha Ajun. Fire your Essence, your PER, your inner Flame and spark, your true Intent. Remember Mitha Ajun from now on. Dear Stars, these were the three Ruba messages given from Ruba of the Ashtar Command, a lion being family member and close friend from Sirius to me and will thank Ruba for giving his words, from and about our beautiful Sirius system. In the Sirius High Council page I will soon speak more on this high system of Love. I will now head on to some of my own knowledge of the now and of the ancient pasts. Also I will give you now the meaning of the words Mitha Ajun in Lion Being Arua Language, words which mean: Ever-burning Essence of the Middle, or also, Ever-giving spark (fire/light) from/of your Center. I will end this word doc with a Message from myself dear friends, dear Stars, connected to Egypt and the ancient knowledge I have Inside myself, which is adding to Ruba’s stuff above, you all will feel its connections. The Egyptian Pyramid, Siriusly now! Why does the hieroglyph from Sirius, have a different form, than the lower pressed Giza pyramid? The form of Sirius pyramid was purposely given a higher form, than the ones built on Earth, because of the higher centered, center, of Sirius, as Sirius is higher in dimension, but, it is the Sister Sun to Ra, or the Sun we know on Earth, as we live in this Solar system currently. Its center is higher in density than the center of the Per of Earth and of Ra. Yet, they both flow in the spiral. It’s center therefore is at a higher dimension than Earth pyramids. 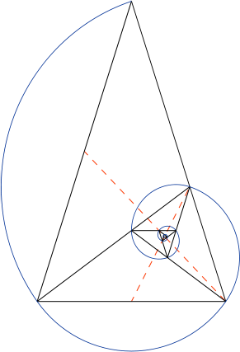 Also the Golden ratio of the ever spiral, called phi, is connected to this high pyramid. Each base of a triangle becomes the new arch of the next triangle, Like a Spiral Star-system. See below. Next I will speak of the knowledge of Sirius, the triangle and pyramid, or better yet, tetrahedron, combined with the Star knowledge of the Arcturian brothers and sisters. This is the knowledge of making the healing chambers of the Mitha Ajun, merged together as one, to form a Light ship body called the MerKaBa. One will see that it will spark a new geometry and a new field, which we all know from many symbols on earth, like the MerKaBa and the Star of David, and of course the well known pyramids. 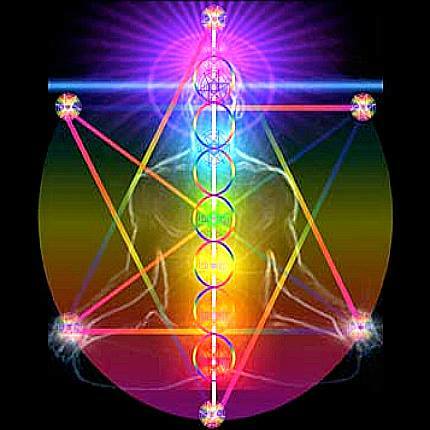 From the diamond and pyramid energy from Sirius, we will go into the combining energy the Arcturians formed. A combined knowledge template. 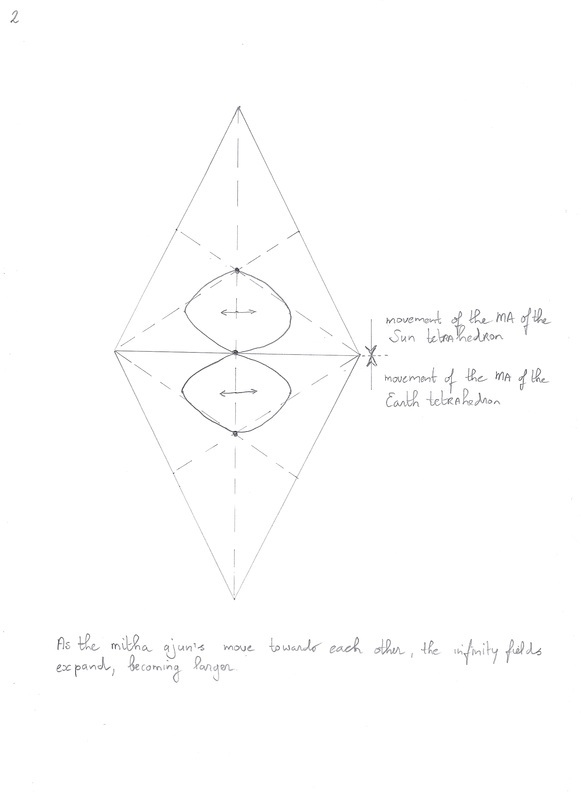 The Mitha Ajuns (MA's) of two tetrahedrons will be brought and merged together. Next stage will be the approach of the triangle touching base, the MA’s coming closer as the field of energy of the leminescent flow expands. The infinity flow of the leminescent geometry will move and start to flow and expand in energy. Then a final stage will emerge, as the MA’s come closer and closer and their dots merge as one. This creates the new geometry many know as the MerKaBa, or in Christian terms, the Star of David. We will not speak of history and chronology of the knowledge landing with peoples of Earth here....for good reasons. This also connects to the Heart Infinity flower, which can be read on my TS’s website, the practices page. All other Star family know of these basic sacred geometry, as they were passed on to them by the original ancient ones, from Lyra, Sirius, Orion (the Melchizedeks) and Arcturus. The younger systems and families, such as Andromedans and Pleiadeans know this knowledge at heart as well. Thank you for reading, hope you enjoyed it and have learned. I you have questions just email me or ask me on one the websites on my link site where you can also find me. To walk the eight sides, a tuning in thee. Remember, everything flows from Center!